I love using natural remedies as a part of my beauty regime. For me, something about natural ingredients is more appealing to use than ones with chemicals. I have to do a lot of research before I put anything on face when it comes to chemical products, but it's without doubt so much easier for me to put natural products. One of the latest natural products that I got my hands on is sandalwood. Sandalwood powder promotes a soft, clear skin if used on a regular basis. It gets rid of acne and dark spots because it contains antimicrobial properties, which is something that you should look for if you want to get rid of blemishes. It also contains antiseptic properties which is great for dry and oily skin types, since it balances the pH of the skin. It does wonders on the complexion and skin tone. It evens skin color out and leaves the skin glowing. 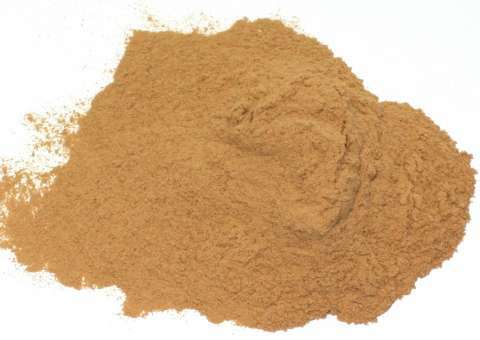 It is widely used in India as a part of beauty regimes since sandalwood is abundant in India. Next time, I'll post how you can use sandalwood in your own beauty routine. Now it's your turn, would you give it a try?